Home>Best Hospitality Degrees FAQ>What Does an Executive Chef Do? Also referred to as the chef manager or head chef, the executive chef is the leader in charge of everything that goes out of the kitchen and maintains full control of the kitchen staff at all times. From small restaurant operations staffed by a handful of cooks to massive industrial kitchens staffed by a large number of chefs and culinary assistants, executive chefs are given the responsibility of resolving any problems efficiently to serve exceptional cuisine. Entering a career in the culinary industry can be an emotionally and financially lucrative option for aspiring executive chefs seeking to exercise their love for creative cooking in a leadership role. In order to determine if this is the right career path for you, read on to find a full overview of what executive chefs do inside and outside of the kitchen. With the ultimate goal of ensuring that quality culinary dishes are being served on an efficient schedule to boost a restaurant’s overall profitability, executive chefs are hard at work identifying any problems that arise in the kitchen as well as resolving them quickly. While maintaining a level head with strong strategic leadership skills, executive chefs are responsible for maximizing the productivity of kitchen staff, including chefs, cooks, culinary assistants, apprentices, sous chefs, and even dishwashers. Most executive chefs work full-time with up to 12-hour days to oversee the delivery of food supplies in mornings, prepare special menu items in afternoons, and supervise the kitchen during dinner hours. On a typical day in the life of executive chefs, they will be found inside the kitchen checking the freshness of food, coordinating the activities of cooks, determining the best presentation of food, ensuring quality of each meal, inspecting kitchen equipment for cleanliness, and monitoring sanitation policies. Executive chefs are primarily responsible for overseeing the daily operations of a kitchen, but their duties often will extend well beyond the kitchen. 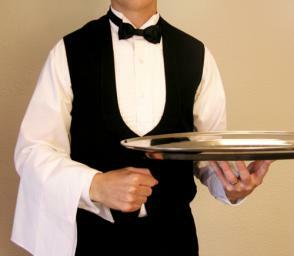 Executive chefs will also work outside of the kitchen in developing new recipes, planning menus, hiring or training food preparation workers, maintaining an inventory of food supplies, following a food budget, doing purchase orders, reporting to the head restaurateur, and completing other administrative tasks in their office. Executive chefs are usually required to work their way up the culinary hierarchy in many different cooking roles before assuming the executive-level responsibilities that come with this chef title. Although most chefs will acquire their cooking skills through work experience in the kitchen and apprenticeships, it can be valuable to receive training in a culinary arts program at a community college, vocational schools, or university. Enrolling in a culinary degree program will enable you to study all aspects of kitchen work, including menu planning, food sanitation regulations, and purchasing methods. Upon completion, begin working as a line cook and spend years working in kitchens to eventually receive promotion to sous chef or executive positions. Overall, executive chefs are highly trained food preparation specialists who utilize their managerial and cooking skills to oversee the operations of restaurant kitchens to guarantee that all patrons receive the optimal dining experience. While becoming an executive chef can take up to 20 years of professional practice in the kitchen, the training will prepare you for meeting these high-level responsibilities for delivering a superb menu.